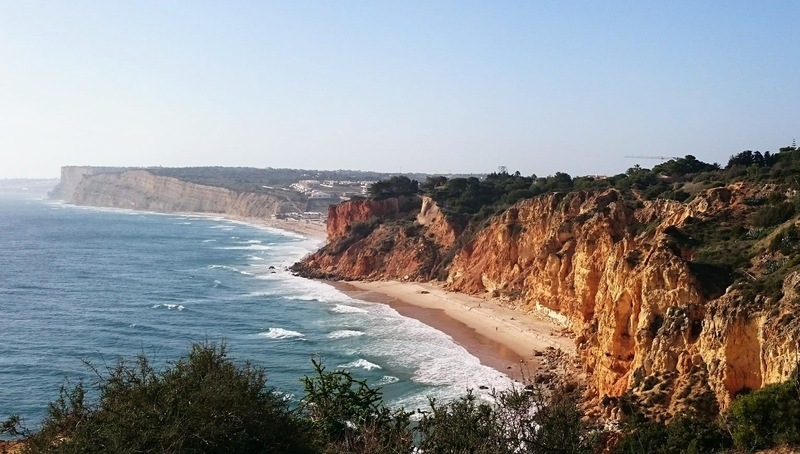 Visiting the south coast of Portugal was not initially a planned part of my trip but after doing a little research I was all for the adventure. 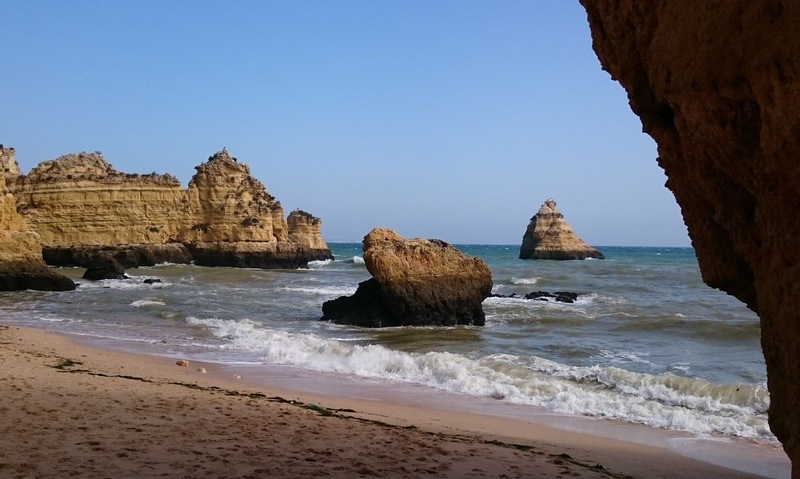 Only then did I find out that the Algarve, Lagos in particular, is part of a well-worn backpacker trail – so much for being original! 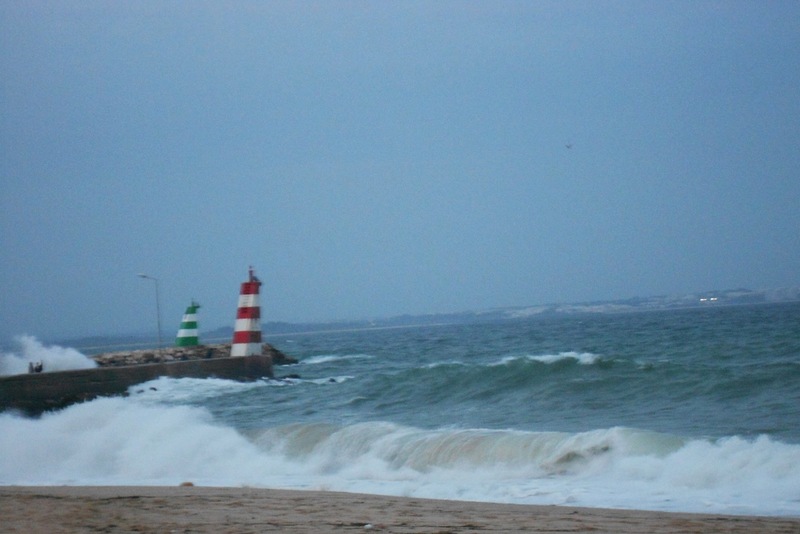 I also squeezed in a jaunt to Faro. 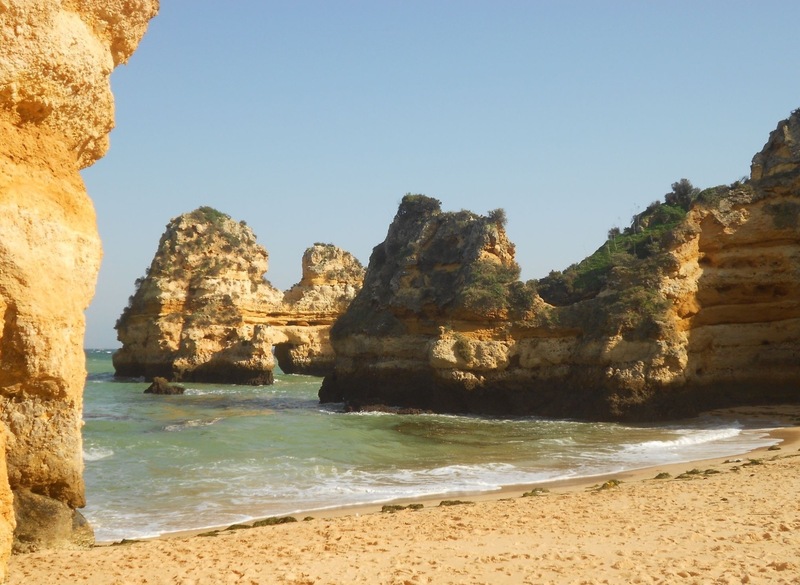 Lagos is a small tourist town on the Western end of the Algarve with Moorish and Renaissance architecture and great beaches. What to do: I arrived in Lagos early in the evening and after settling into my hostel went for a wander around my environs. I found a beautiful waterfront, a small marina and a bustling old town centre with shops, restaurants and bars. At the end of the waterfront promenade I came across the Forte da Ponta da Bandeira and two striped mini lighthouses at the mouth of the river. There is a museum in the fortress but I didn’t go in. Right next to this is the Praia da Batata (Potato Beach). The waves were roaring and crashing into the fortress walls and soaking innocents – it was majestic. 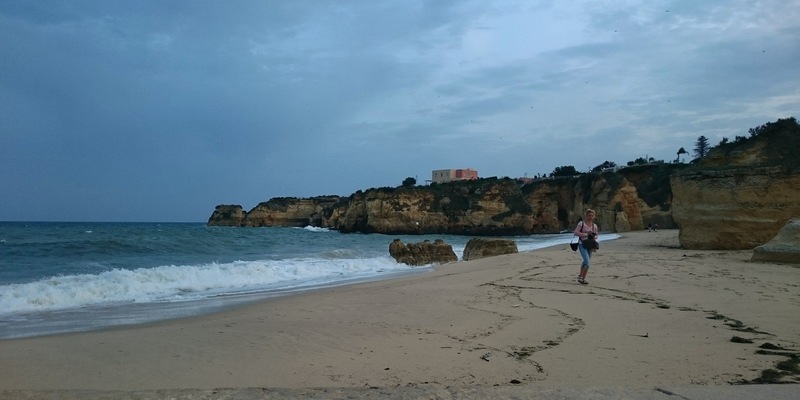 The following day I hired a bike to cycle along the coastline to the Ponta de Piedade Lighthouse. 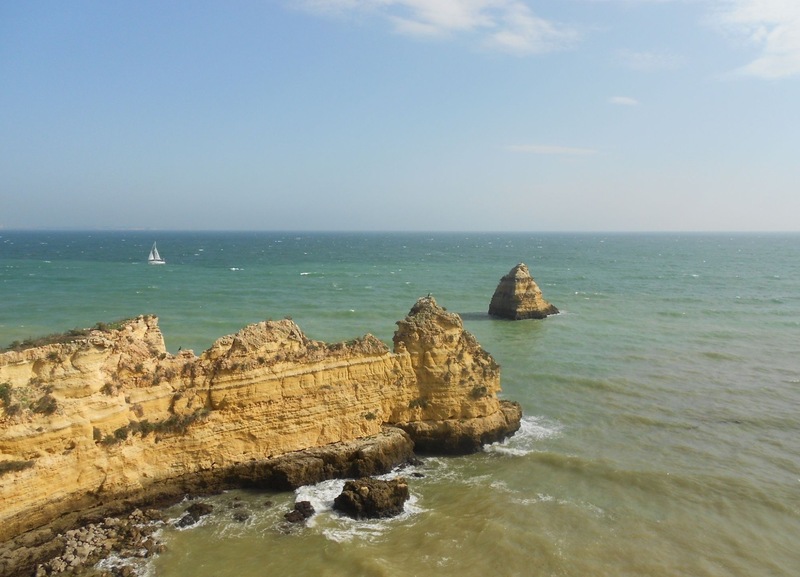 There are stunning cliffs and lots of little inlets with names like Dona Ana beach, Pinhão Beach and Praia da Luz … I took so many photos! The cycle was easy and flat, on roads and cliff paths, about 20 mins to the lighthouse at a slow pace. 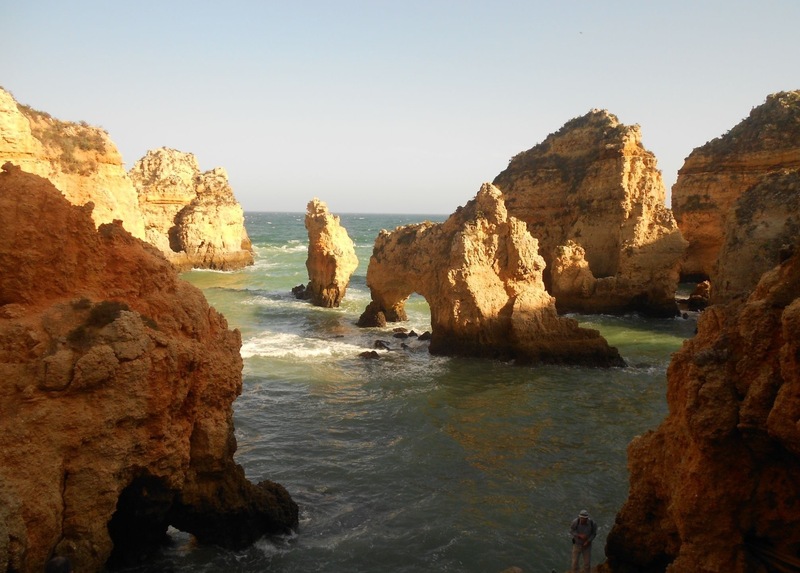 The Ponta de Piedade has many grottoes you can visit by boat, kayak or on foot. However it was too windy to attempt while I was there. 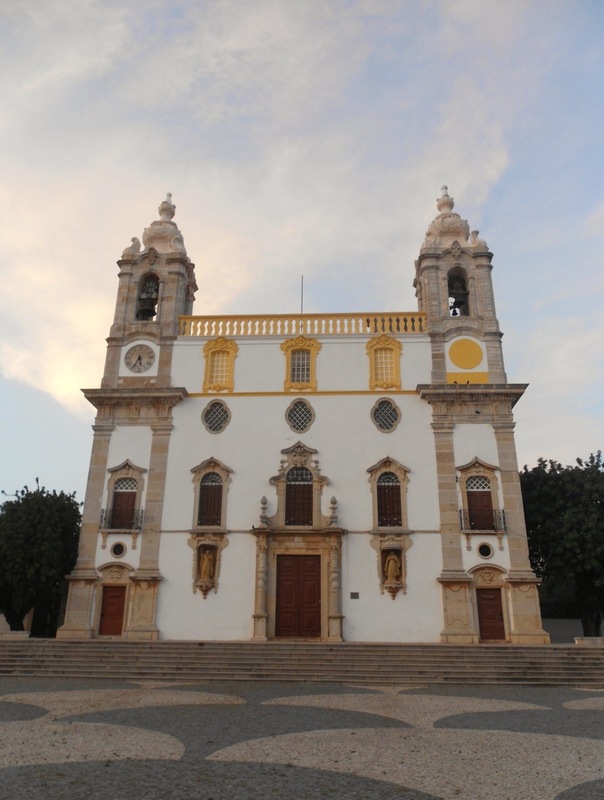 I also visited the Museu Municipal Dr José Formosinho, a very dreary collection of antique ceramics, fishing equipment and coins but the gold-plated interior of the attached Santo António church is worth the entry fee of €3 per adult. 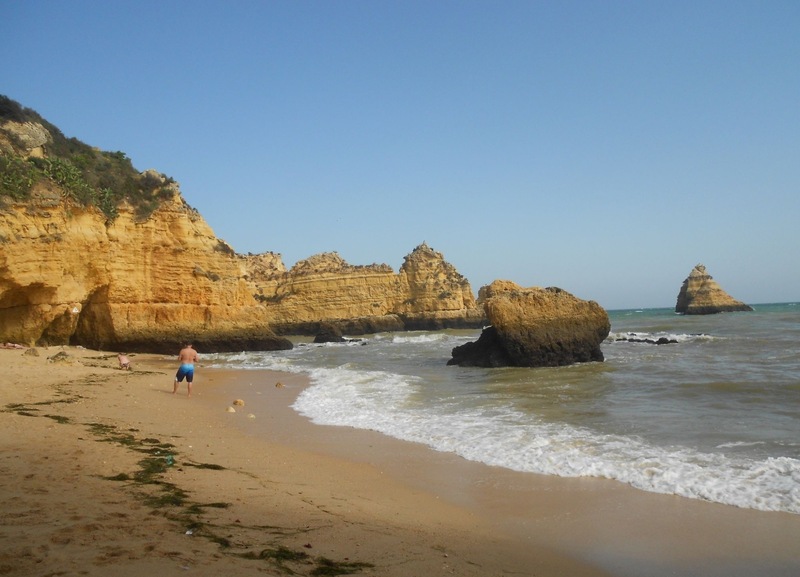 Other attractions include the old town walls, Meia Praia and the Marina de Lagos. Further afield: Sagres, one hour away, at the western tip of Portugal can be visited as a day trip. It is very popular for surfing and other watersports. Where to stay: Lagos is packed with hostels – many cater to a party crowd – and hotels that are full during the summer and school holidays. What to eat: Seafood is a must. 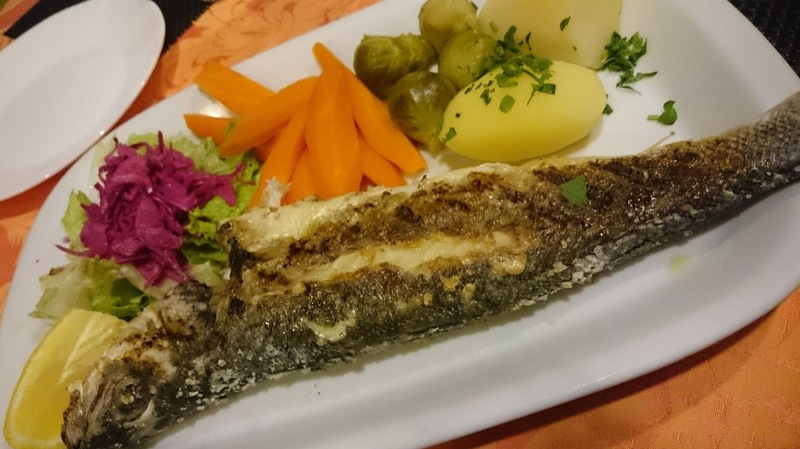 I enjoyed a whole grilled sea bass with potatoes and vegetables for only €11 at Caravela, one of the many al fresco restaurants in the old town. Getting there: Lagos is connected to Faro, Lisbon and Seville by bus and train. Getting around: Lagos is easily navigable on foot but bicycle, scooter and kayak hire is available in the town or at Praia da Batata. 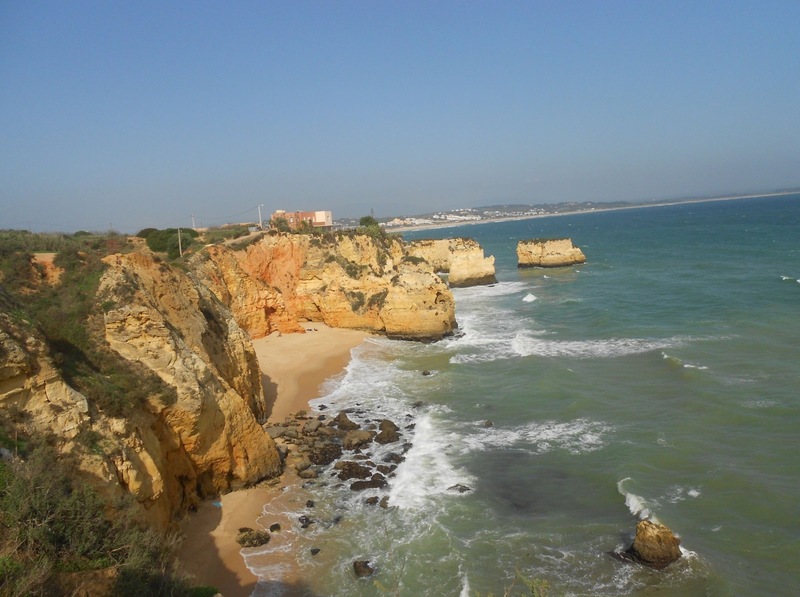 Faro is the capital of the Algarve but is generally only used as a gateway to the resorts further along the coast. For this reason so many people are missing out on a wonderful contained city on the edge of the Ria Formosa Natural Park! 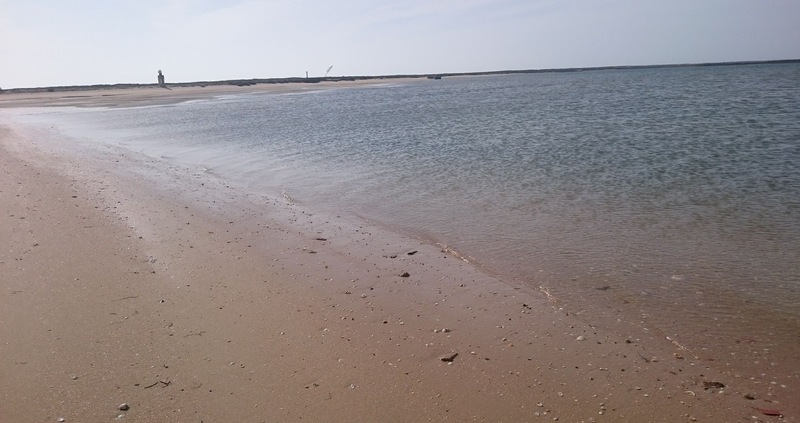 The Ria Formosa is a lagoon protected by several barrier islands but still retaining contact with the sea. This creates a tidal marshland and unique ecosystem for fish, shellfish, birds and reptiles. What to do: I spent the first evening in Faro rambling through the main streets of this small city. I visited the walled Old Town, delightful for an evening stroll. Within this small space are several churches, a cathedral, the Bishop’s Palace, a Moorish castle and a couple of small restaurants. There was a guy at the old city gate (the Arco da Vila) handing out maps – I think he’s a barman at O Castelo who sponsored the guide. I hope you see him too! 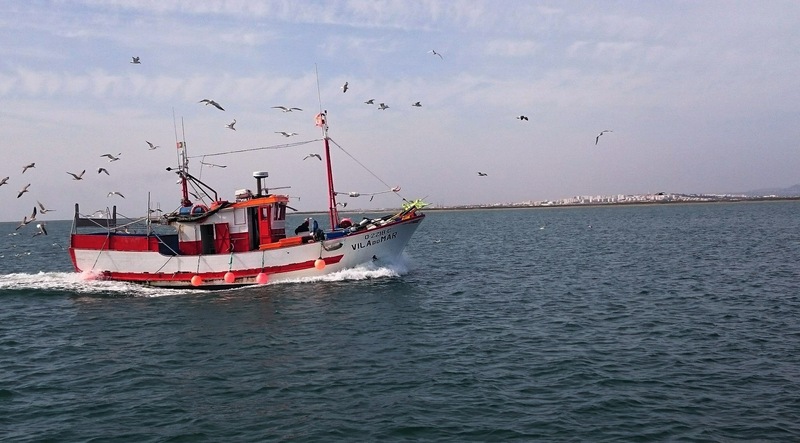 On my first and only full day in Faro I booked a guided boat trip on the Ria Formosa with Formosamar. 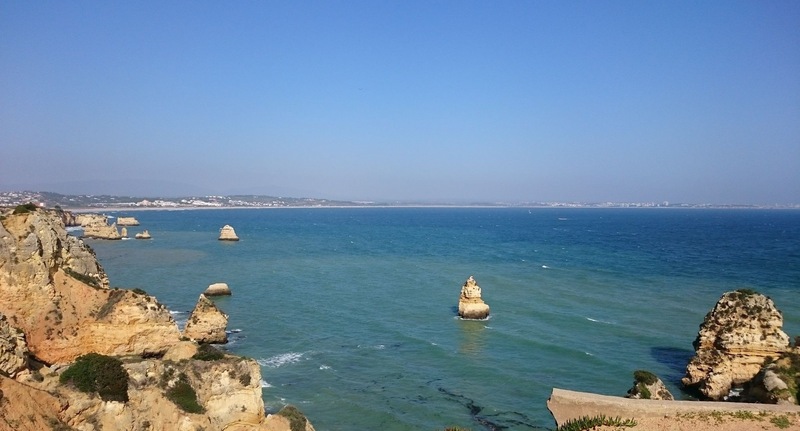 Other companies also operate from Faro, Olhão or Tavira but all have similar services. Other options include kayak rental, ferry crossings to Ilha Deserta or cycling along the coastline of the Ria Formosa. In my opinion the boat trip was fantastic – the guide was really knowledgeable and also passionate about the area, especially as he was studying marine parks at postgraduate level. 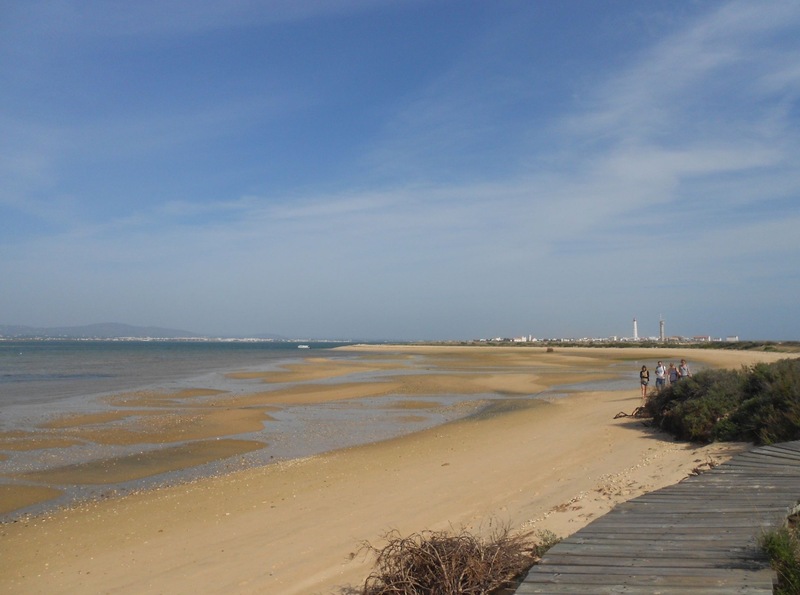 The trip included a cruise through the Ria Formosa, a 30 min stop at Ilha Deserta – a non inhabited island with a gorgeous sandy beach and walking path through the mud flats – and a 30 min stop at Farol – another island with a charming white and red lighthouse, old fishermen’s cottages, a bar and a sea-facing rocky coastline. The trip lasted 2 hours in total and cost €25 each. A highly recommended excursion. Where to stay: The Casa d’Alagoa is a brilliant hostel in a great location with spacious rooms, friendly staff and dinner every night. Getting around: Like Lagos, it is easy to wander Faro on foot but bicycle rental is also possible. 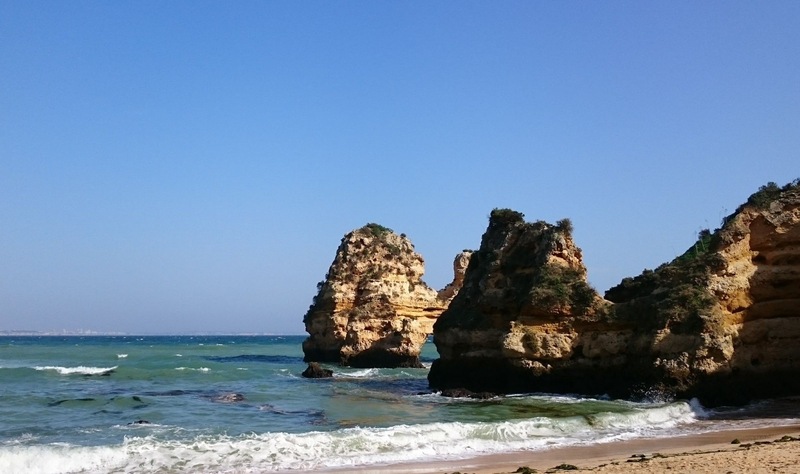 I was highly impressed by my trip to the Algarve – there is a lot more to be discovered than I ever imagined!